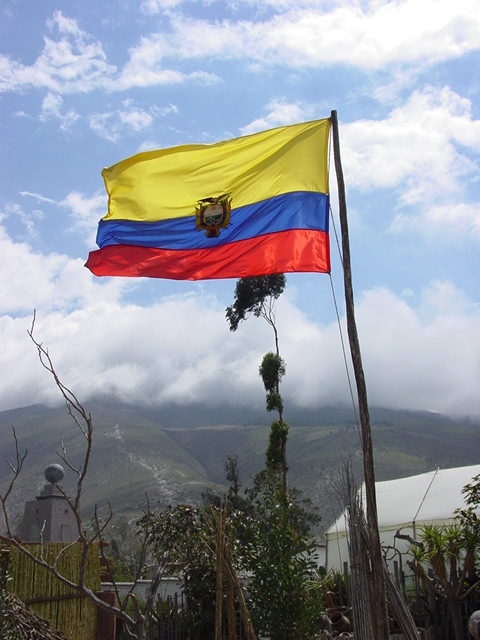 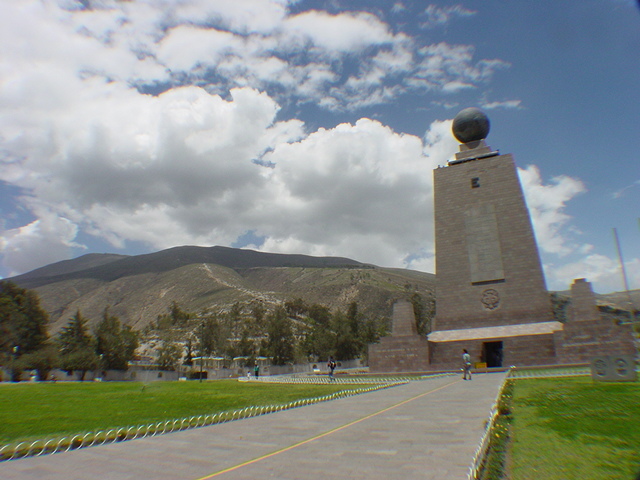 It was here in 1736, that a Spanish expedition made measurements showing that this was the location of the equator in Ecuador. 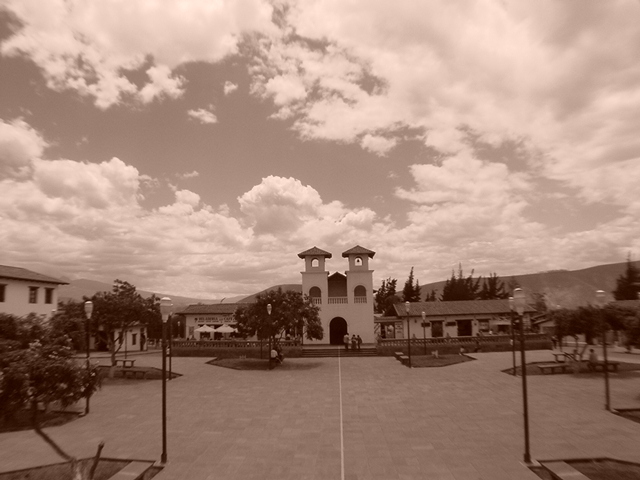 In Spanish, oeste means west. 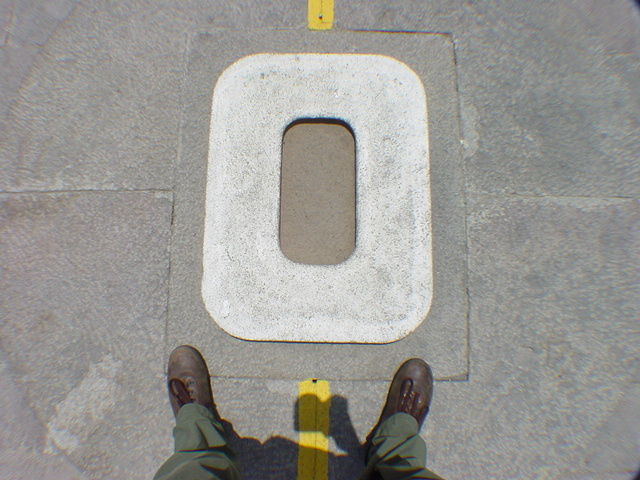 I am standing over the west marker facing east with my left foot in the northern hemisphere and my right foot in the southern hemisphere. 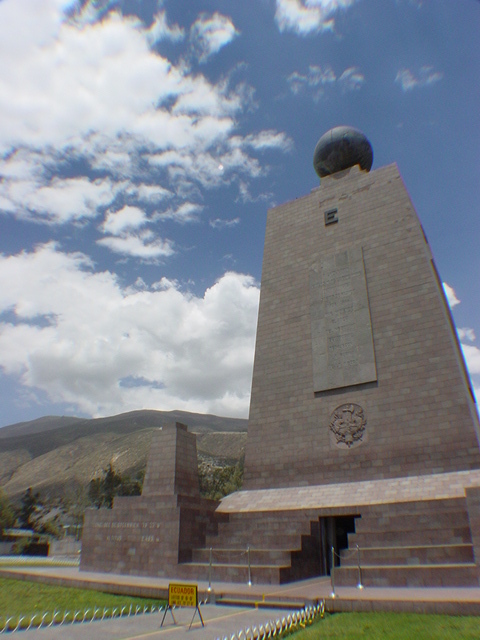 This is the monument that marks the location of the equator in Ecuador. 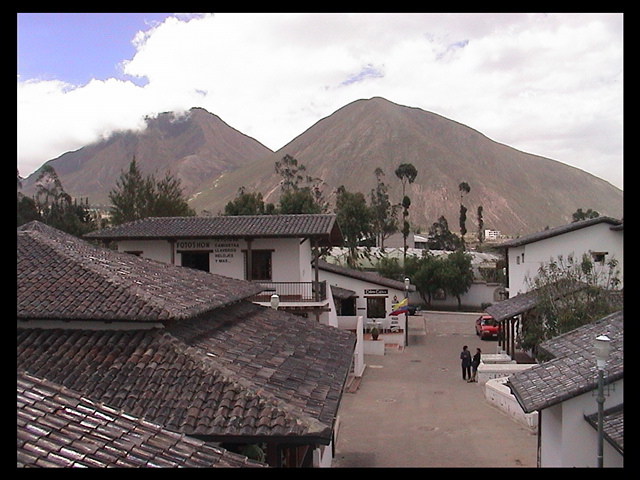 The painted yellow line on the ground represents the exact position. 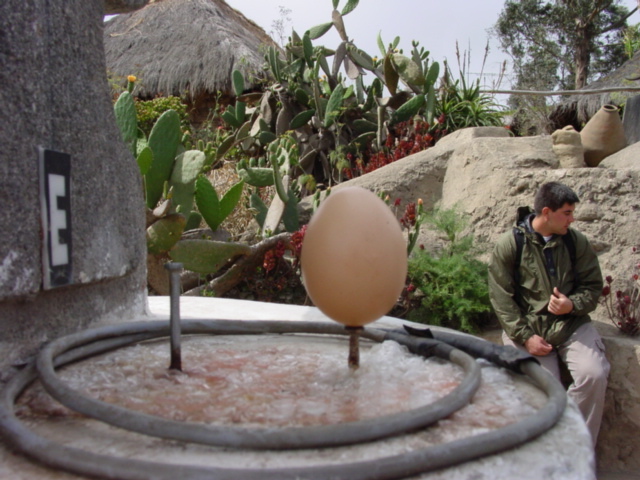 This is an egg that is perfectly balanced on a nail. 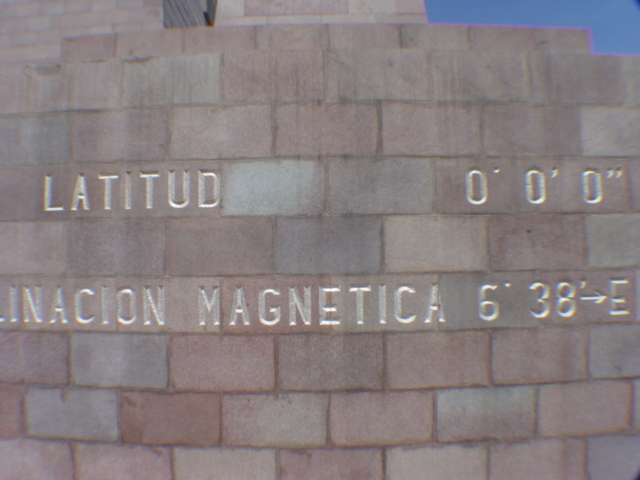 It is positioned directly over the equator. 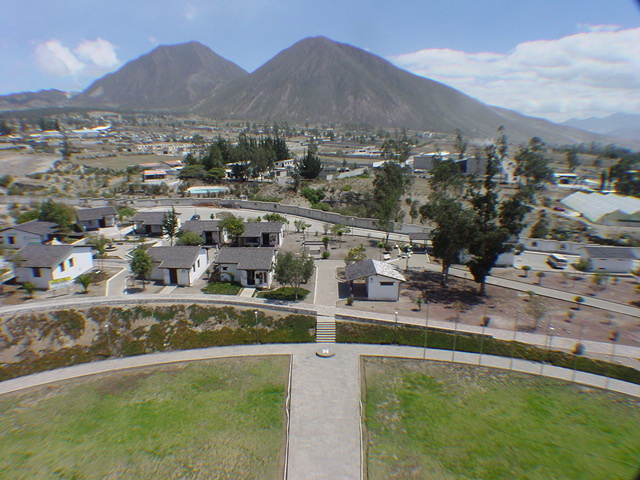 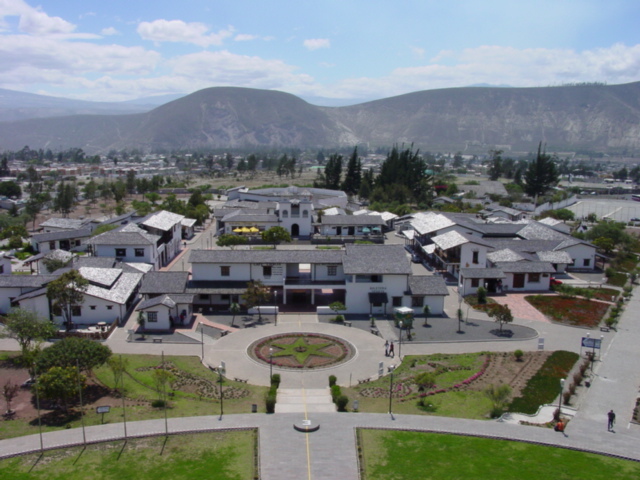 The square of a reconstructed typical colonial town with the equator running straight through. 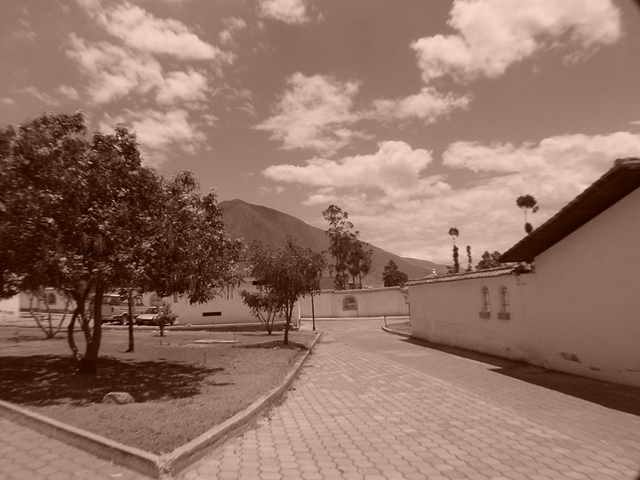 The view towards home to the north.